The ME Place Institute is not just about branding and marketing, our training, coaching and mentoring programs expand to offer programs on self-development, leadership development, business development and more. We understand that for an organization to be strong, those at the helm must be strong as well. The ME Place Institute takes a complete holistic approach in developing leaders and individuals representing emerging, small- to medium-sized businesses and individuals to achieve their desired success. Any sound enterprise seeking to expand and grow is cognizant that it will not only entail strategic planning, but they must always be at the forefront in staying current and relevant. The ME Place Institute is designed to help you do just that. Our stake in your development extends beyond your vision, mission, core values and marketing and communications goals, we have a stake in training, coaching and mentoring you as well for optimum success. For your company to be competitive, you must be exposed to cutting-edge trends and best practices, not to mention that you also need to be cutting-edge in your mindset. Having that professional and personal balance is crucial to any organizations success and that begins with you. Every solid company has at its core the level-headedness of its leadership and other individuals responsible for moving it forward. We get into your head, so to speak, in order to ensure that we are communicating your message as if they were your own words and positioning you to be that marketplace influencer you have worked hard to achieve. We offer three ways for developmental growth—training, coaching and mentoring. Using these three approaches, we can ensure you will always be at a place to succeed in balancing professional development and personal enrichment. Training is critical for long-term success. We offer blended training opportunities that includes both online and in-person. This includes webinars, seminars, workshops, conferences and onsite training at your facility. Jacqui is available as a keynoter, presenter, facilitator or panelist to speak at your event, conference, leadership meeting and more. You can rest assure your audience will be enlightened, empowered and impassioned to go to the next level. Jacqui’s high energy and bold in your face style, ignites passion that translates into actionable results. The ME Place Institute is committed to helping you meet your goals. Every coaching relationship has at its core the ability to help move you from that place of starting to finishing. Sometimes, we need someone to walk alongside us, either for a short time or longer period. We find many individuals and emerging clients need collaborative coaching as they move from their dream to reality. They may come to us with a specific goal, and we make sure they reach it. We customize every coaching program to meet the needs of our clients by taking into consideration your specific needs, desires and outcomes. Our goal is to ensure you achieve your business and professional goals. Others who may not be able to afford our one-on-one coaching and mentorship, can take advantage of the The ME Place Institute's Group. It's a great opportunity for you to learn and grow from our years of expertise. You will walk away with relevant information you can implement right then and now to take you and your business to the next level. Not only will you garner from us, but you will also learn from other experts who will provide some best practices in moving your business forward. It is a win-win environment for you, others and us. We win, when you win. When you win, others win. Seamless success of winning that never ends. Everyone needs a mentor. Or, so we've heard. The ME Place Institute offers you the ability to be mentored as you look to balance professional with personal. We've had clients come to us to be coached in branding and marketing, but quickly realize they need mentoring in developing their self-confidence in themselves and their capabilities. In some instances, they look to us to help them in balancing out work-life commitments to do their jobs better and accomplish their goals while establishing a balance lifestyle that augments their professional success. Before we can move forward, there are some mind-transformations that must take place. We synergistically mentor them through the process. The length of the process varies, depending on each individual’s needs. Ultimately, they move from a place of insecurity to a place of bolstering self-confidence with the ability to move to the next level of influence. Those hindrances prohibiting them from achieving success are eliminated. We educate, equip and empower you to Brand & Market on Less Than a Shoestring Budget for little to no money, while maintaining a competitive edge in the marketplace. We’re fully aware that your budget may not be as extensive as some, but we’re also fully aware that you can look big without the big expense. Through our extensive research as we roam the Internet looking for cost-efficient ways to brand and market for little to no money, we are always uncovering new gems to pass along . We don’t just throw them at you, we train and equip you to use them so not only can you do it cost efficiently, but you will look good in the process. Never think because you are small or don’t have the resources that you can’t look like a big player. You can and you will. Our proven strategies give you the competitive edge. I’ve used them. I know they work. Tell Us Your Needs. We'll Contact You. Looking to work with us. Have questions? Reach out to us, provide information about your needs and we will reach back to you. 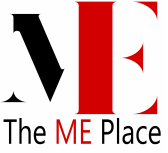 Please provide us with detailed information about The ME Place services you desire.